Educational Qualification: (A) Candidates should have four year Honors/Masters degree from any Government approved university and must have at-least one first division/class. Any third division/class in any examination is not allowed. Remember if any candidates provide wrong information in the application form, their application will be rejected without any prior communication. 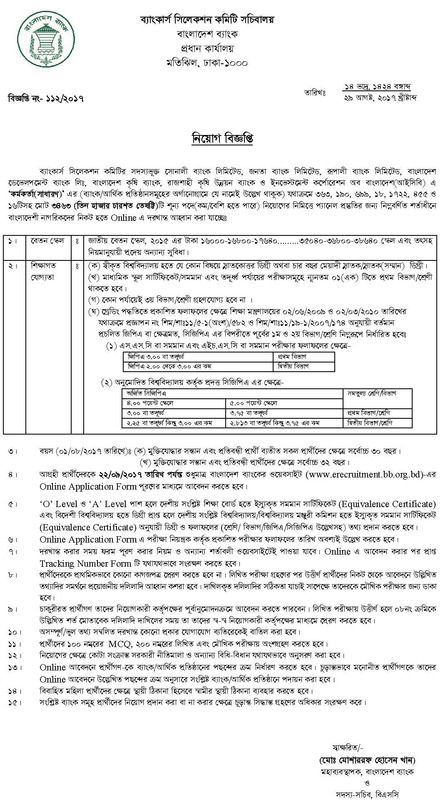 Please share this job with your friends and stay with our website www.careerguidebd.com for further information and all kind of job circular and job notice.